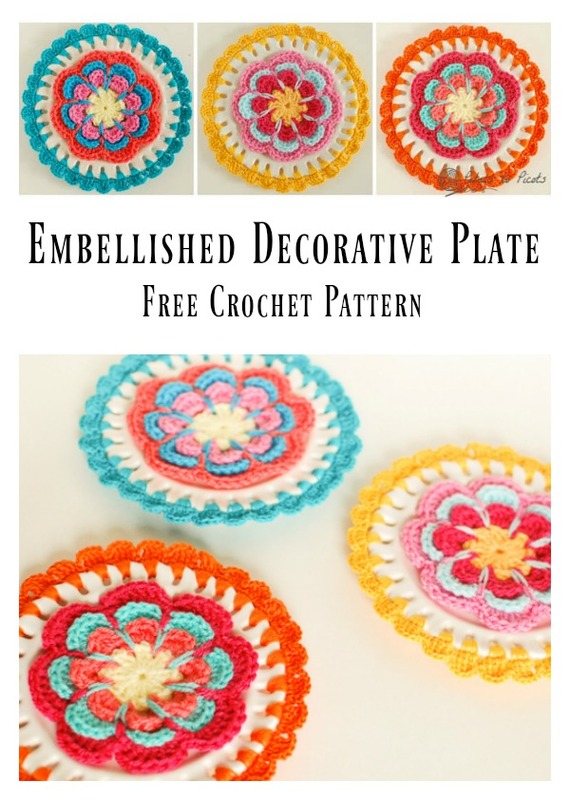 This Embellished Decorative Plate Free Crochet Pattern is the modern crochet version of decorative mandalas. They look so beautiful in the picture shown below. This is a plate with tiny holes on the edge, where you can crochet colorful and fancy patterns into the plate.The best part about this is the many different vibrant colors you can add. This pattern shows you how to crochet a flower with multi-layered petals. You can make a few such sweet plates as gifts for your friends. Have fun. You might also like Lovely Crochet Heart Doilies Free Patterns Great for Valentine’s Day.